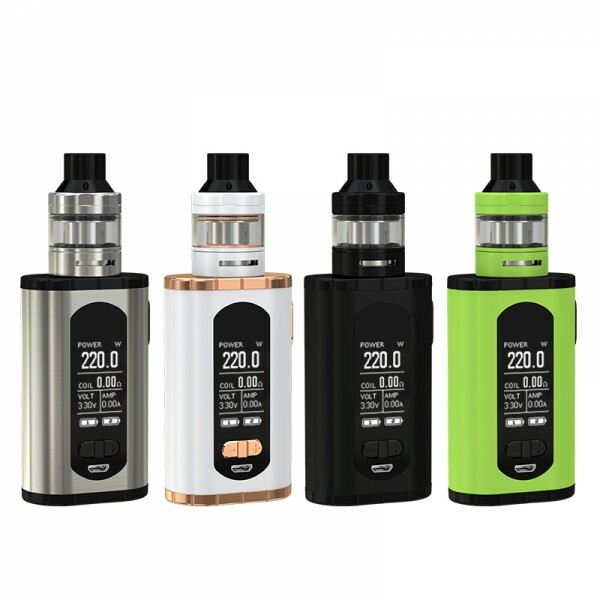 The Eleaf Invoke With ELLO T, a new vape kit launched by Eleaf, features high output power of 220W, powered by dual 18650s, will provide you with a powerful vaping experience. It supports 2A Quick Charge, you don't have to worry about battery capacity problem. With a large 1.3-inch display screen, you can read the information and nevigate it conveniently. 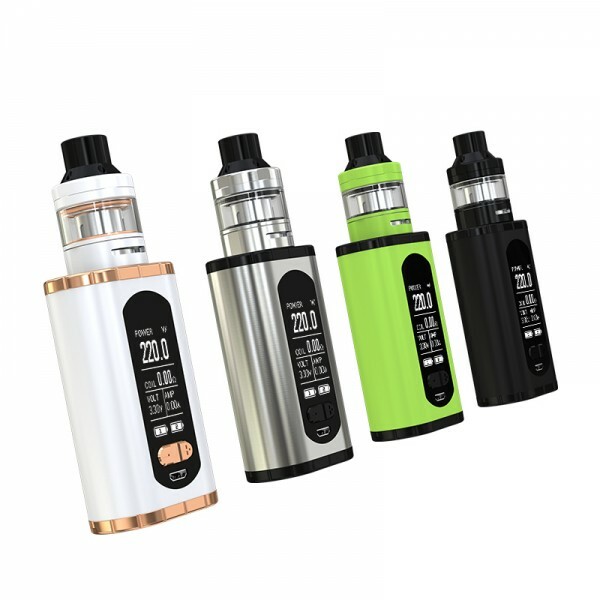 The Invoke mod can handle tanks up to 27mm without overhang with the Centered 510, you can use tanks of various diameters. Comes with the flip-open battery door, you can change the battery without trouble. The ELLO T atomizer with e-liquid capacity from 2ml to 4ml, and with top fill system, you can refill the e-liquid only by removing the top cap. All part of ELLO T atomizer can be detached and reassembled, it can be cleaned easily. 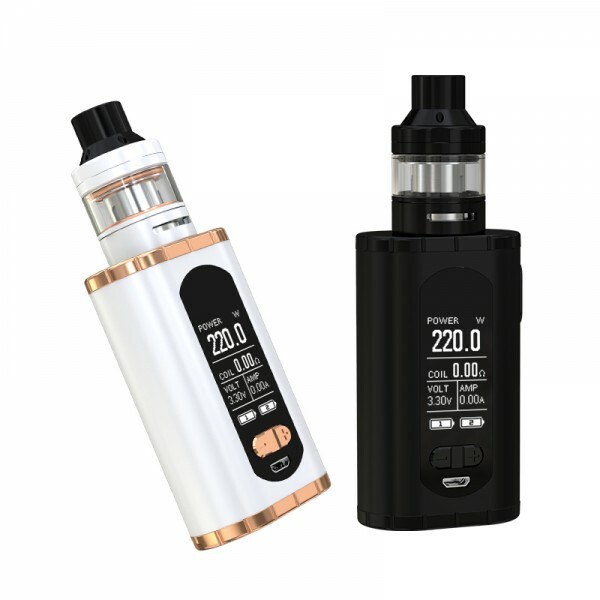 Features powerful HW coils, include HW3 Triple-Cylinder 0.2ohm Head and HW4 Quad-Cylinder 0.3ohm Head, bring you with decent flavor and huge vapor cloud, you can have a good vaping experience. There are 4 colors for you to choose from, Black, Greenery, White, and Silver, always a suitable one for you. 1. 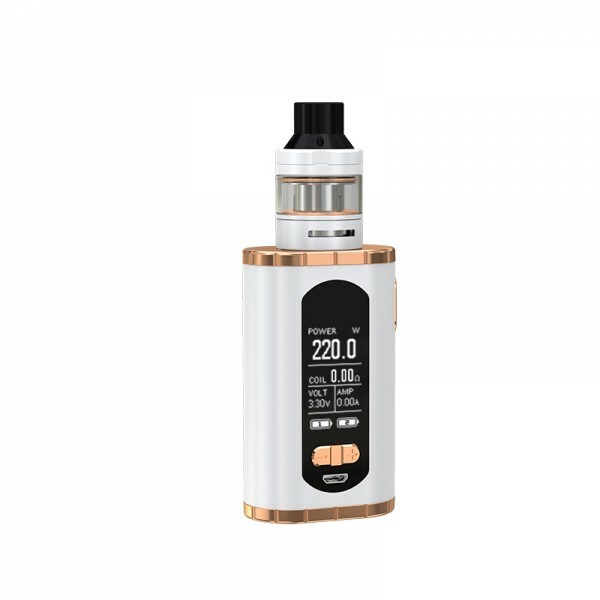 Comming with Eleaf Invoke Mod with ELLO T Atomizer. 2. 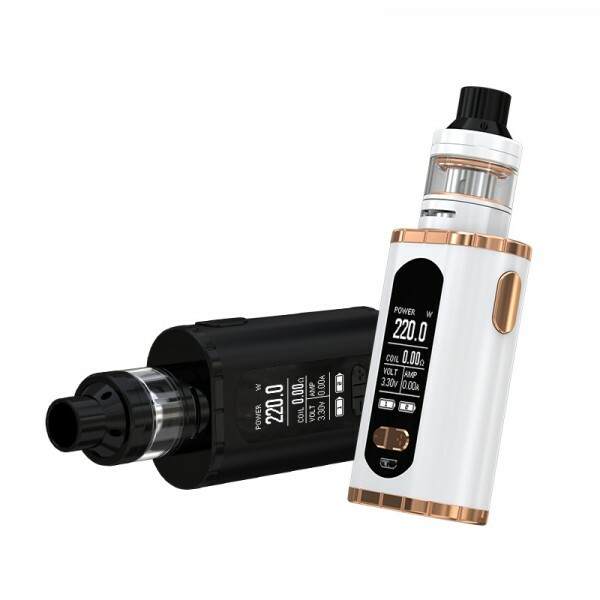 Powered by dual 18650 batteries, maximum output power of 220 watts. 5. With large 1.3-inch display screen and easy-to-go interface, you can view all the data easily and clearily. 6. With high campatibility, it can handle tanks up to 27mm diameter without any overhang. 7. 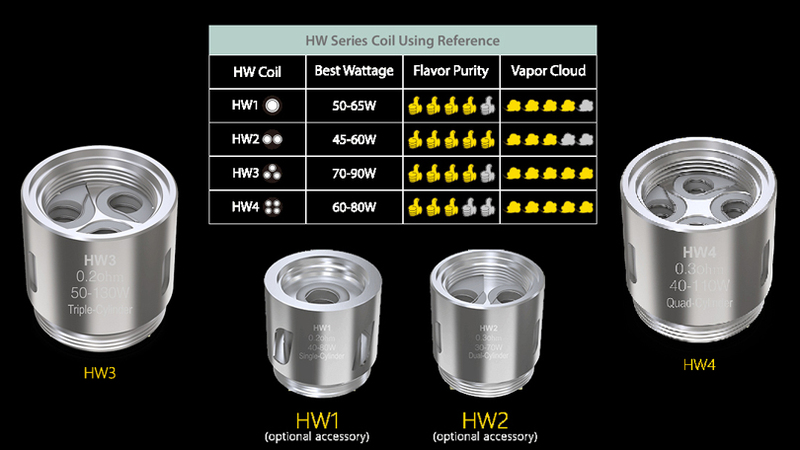 Powerful HW coils with deliver you a great vaping experience with huger vapor and optimal flavor. 8. 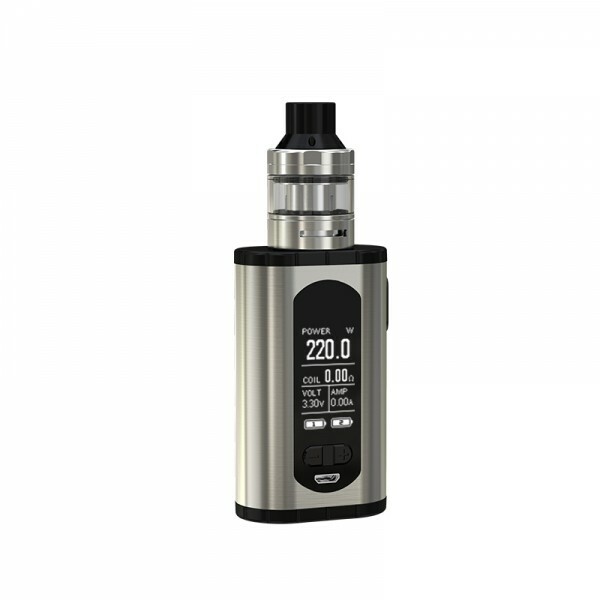 The ELLO T Atomizer featuring a detachable structure for easy cleaning and repairing. 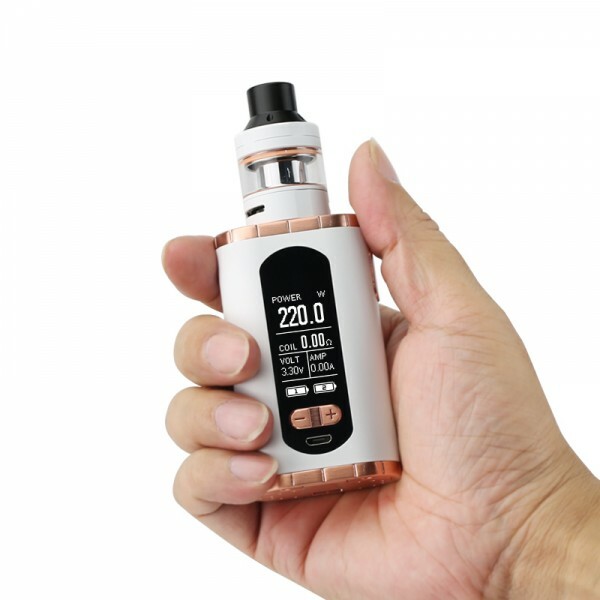 9.With top filling system, it is much easier to add e-liquid into the tank. 10. 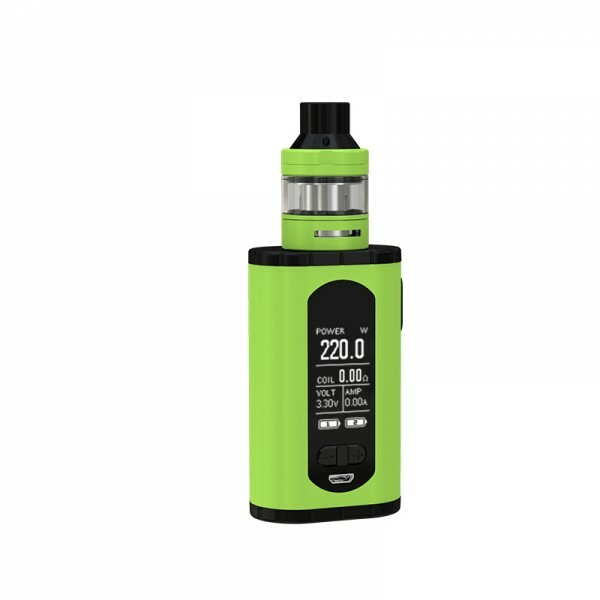 The Eleaf Invoke Supporting 2A current for quick charge, needn't worry about the device runnning out of eletricity. 11. 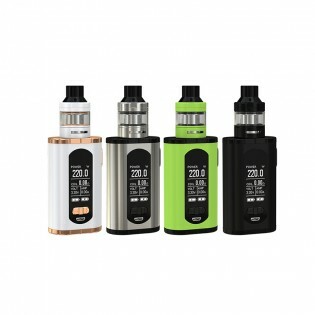 2 kind of e-liquid capacity: 2ml and 4ml. 14. Supporting firmware to upgrade, you can download the firmware from our official website. 15. 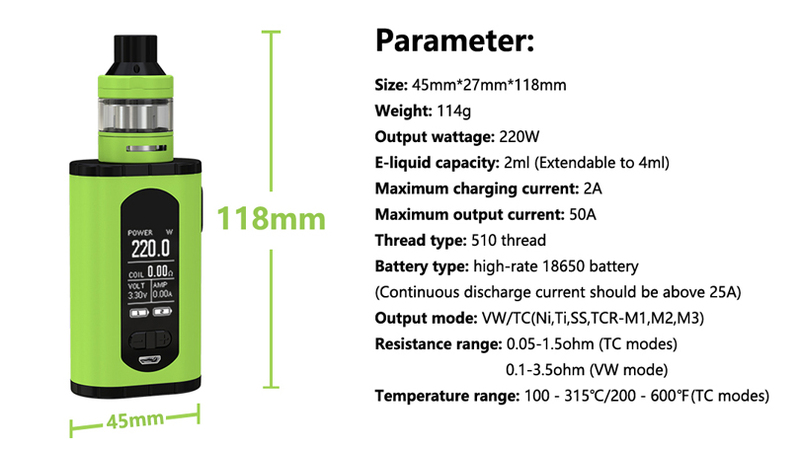 Battery balance system brings the two batteries to the same level, ensures high security in charging. Charging: Simply charge Eleaf Invoke Mod by connecting it with a computer or charged with an external battery charger, a power bank, a wall adapter or other electronic devices (with a USB port that is capable of providing a charge) via USB cable, also you can purchase an inexpensive USB car adapter, thereby affording you the ability to charge the Invoke in the car. This is particularly useful while on long drives and road trips.